The demonstration area should be at least 35 feet wide with 10 foot ceilings or higher. The demonstration requires a flat surface to transport the demonstration display and no stairs. The space should allow enough room for the audience to be at least 15 feet away from the demonstration display. 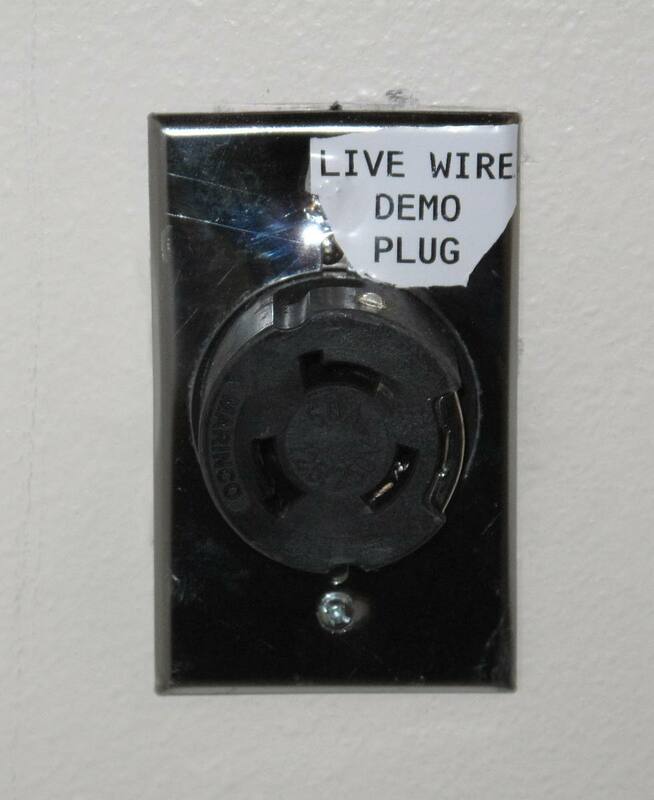 Access to a 50 amp 120/240 or 120/208 plug. Please have a licensed electrician install this receptacle and send us verification at least 14 days prior to the presentation day. See photo below. This receptacle must be no more than 100 feet from the demostration area.